In today's world, everyone carries a smartphone. Why not capitalize on this and develop apps that will help improve health care--specifically mental health care? This is a question that many start-up companies and McLean Hospital are asking. Ideally, technology should create a sensible balance in supporting and enhancing clinical care for patients while providing real-time behavioral and physiological data for doctors and researchers. This much-needed data will help lead us to breakthroughs in better understanding the biology of mental illness. At McLean, we've been working with innovative startup companies that have developed smartphone applications and other devices to help individuals better manage their illnesses, and we've offered these tools to some of our outpatient populations. Though there has been some mixed feedback, most patients are enthusiastic about the use of these apps, as individuals often want to actively participate in their own care. Our young patients who are technically savvy see it as a natural connection to have an app that allows them to better track their progress and connect with their treatment providers. This trend towards technology in treatment holds great promise for the younger population. Approximately 20 percent of teenagers ages 13 to 18 in the United States experience severe mental disorders each year, according to the National Alliance on Mental Illness. Suicide is the third leading cause of death for those ages 15 to 24. Technological tools have the potential to become a lifesaving bridge between teens and young adults and the mental health field. As technology becomes increasingly sophisticated, we're starting to see devices and software become more nuanced. Though there are some critical issues to resolve--privacy, security, legal liability, reimbursement, and the ethics of gathering data and delivery services through devices rather than humans--if we find solutions to these issues and make sure that technologies are tailored to real-world patients, such advancements can have a transformational impact in not only improving care but expanding access to care. McLean is currently using technology to help improve care among different populations. Other forms of technology we hope to adopt in the next few years include apps that help us reduce repeat patient admissions by tracking patients' progress after hospitalization and intervening when needed to help reduce relapse and promote recovery. There is extremely exciting and promising work going on in the field and by continuing to integrate technology into healthcare, we are improving lives. Please check out our article in the January 2016 issue of JAMA Psychiatry on "Why Psychiatry Needs Data Science and Why Data Science Needs Psychiatry:Connecting With Technology." Additional information on this topic can also be found in a paper co-authored by McLean Hospital President in Chief Scott L. Rauch, MD, in the June 2016 issue of Neuropsychopharmacology, titled "Harnessing Smartphone-Based Digital Phenotyping to Enhance Behavioral and Mental Health." Read more about how McLean is using technology to shape modern psychiatry. 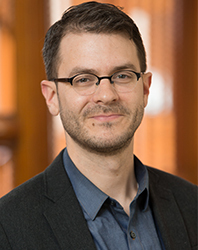 Justin T. Baker, MD, PhD, is the scientific director of the McLean Institute for Technology in Psychiatry and the director of Functional Neuroimaging and Bioinformatics for the Schizophrenia and Bipolar Disorder Research Program at McLean Hospital. He is an instructor in psychiatry at Harvard Medical School.